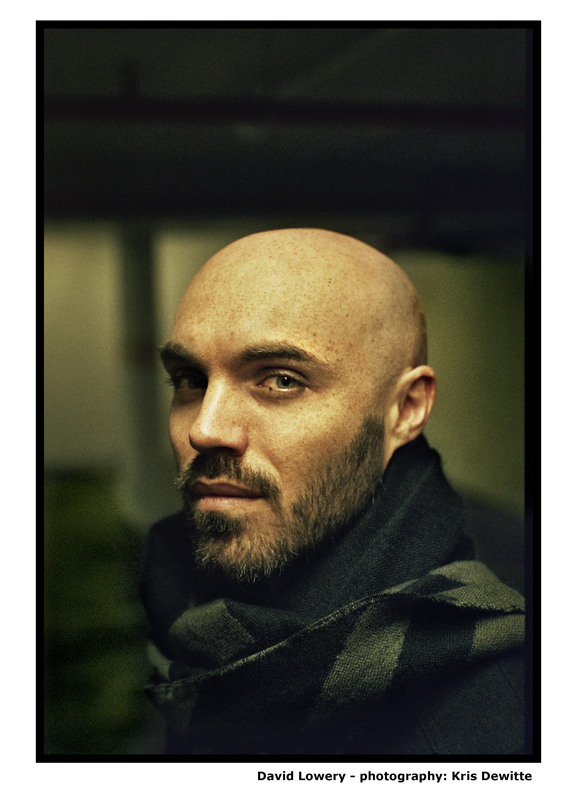 Director David Lowery. Photo Credit: Kris Dewitte. Courtesy of A24. There are many weird movies, not in a bad way of course. As you watch them, you try to revisit the entire storyline in your mind to find the answer you believed the movie failed to answer. “A Ghost Story” is another story; this movie will make you think about it over and over again. In the meantime, you will be watching it with fascination, as the raw concept and brilliant storytelling is what makes it outstanding. But more importantly, every time when you re-watch it, you will find some new details you will ask yourself, how could you have missed it before. During Mr. Lowery`s trip in Toronto to present his latest featured film to Torontonians, I had a great pleasure to sat down with filmmaker to discuss year`s most profound film so far – “A Ghost Story”. MOVIEMOVESME: You were right suggesting that we are turn into ghosts eventually. I wonder how much of having that idea in your mind helped you to pen “A Ghost Story”? David Lowery: I think it is just probably one of the universal questions and fears and one of the ways we address to universal fear that the idea will be around after we are gone for the people we cared about or we don’t have to live in the world we familiar with. And I don’t know if that’s true and I don’t necessarily believe in ghosts that way. But I like the idea of it. And it’s comforting idea for the sake of this story. It made sense to explore this idea. But I do not necessarily think that this movie is not meant to be prescriptive in any way. And I don’t necessarily want an audience to come away thinking that is what I believe will happen. Because I do not. But it’s useful for storytellers to explore this idea, fears and imagery of cinematic idea of behind ghosts. MOVIEMOVESME: But you also allowed the same ghost to travel through time back-and-forth and that was a remarkable part of the movie. David Lowery: I love thinking about time on the quantum level. The potential of time to function in the direction is not straightforward and there’s plenty of quantum theories that support that possibility and while this movie is not engaging with this on a practical level, it’s just like the idea of characters existing outside of continuing time and being able to move into different direction. So it is a fascination that they have for a long time and have wanted to employ and I am sure will use again at some point. The concept was that that he’s defined initially by three things: by person Rooney Mara’s character; by space – he’s defined by time and when Rooney leaves so the space and time becomes irrelevant for him. And he needs to find that final way that’s not defined by time to forward and that’s when movie comes to an end. MOVIEMOVESME: This is the first time you’re working with both Rooney Mara and Casey Affleck together. Was there any specific reason you wanted to bring them together? David Lowery: The main reason I wanted to have them together is because they are just so good together. They have a really strong chemistry together. They really like each other. They have a sense of history together even though they have never been in a relationship. But they feel like they have when they are around each other. And that is something when you get that as a director you want to use it and I noticed that the first time when I worked with them and up shooting a lot of materials with two of them in that movie because they were so good together and when the time came to make this film and to cast actors, I wanted an on-screen couple that would feel like a real couple. They also equally trusted each other. I was asking a lot from them to help as they are friends because I could reach out to them as friends and say “Hey, I’m making this weird movie and do you want to be the part of it?” And they were able to reach out as friends. Just business as usual. It’s not like for them that they were getting a great role. They just wanted to come and hang out together and make some cool movie. MOVIEMOVESME: You have mentioned about the performance from Casey Affleck and talked about the actor’s ability to hold on the scene for eight minutes and tell a lot of without saying a single word. This one particular scene that ensured many people talk about it is when running more she starts eating pie while she’s doing that she’s going through multiple stages of grief. And the Ghost who was quietly watching her all this time. David Lowery: I don’t want to presume too much now that we have shot the scene. Rooney went through that experience and things that were in her mind that`s something up to her but when I was writing this particular scene she was thinking of to bury her feelings. I mean, the common phase could describe it, was eating her own feelings. And that is exactly what she was thinking and doing. She’s trying to bury something in herself with food. Or just with physical activity as an act of consumption that was more important just what she was eating. She just needs something physical to hide that grief. And that was intent I had as I wrote the scene. And as of Casey’s character, I think it is just the idea that he’s stuck there and only observes. He can’t communicate with her and she’s not acknowledging him. And is nothing he can do about. The sense that he’s just passive observer and that the same for both for the audience as well. We just stuck watching and there is nothing else we can do. And she’s in a very private moment she does not know if there’s anybody else in the house. She’s just completely on her own and yet there are two people watching her: him and us. Another something interesting in that dynamic, you know, where we are on the screen in terms of relationship, and where we are. Casey is back in there in shot, and here’s she between two of us functioning in a very formal way. MOVIEMOVESME: I don’t know if they’re in the movie title that will speak for itself but I also noted that you have removed the names and left initials only as C and M.
David Lowery: I took all the names from the script because just having those names on the characters makes feelings that this movie was about them. What I wanted this movie to be felt as it as if it was about ghost. So even though the cost is Casey’s character once Casey dies on the screen play his character was referred to as the ghost. And I wanted that ghost to be felt as the central character. Just to have the character’s name on page, on screenplay makes you feel attached to that person and I wanted to remove that attachment. I wanted everyone who read this script to understand that this movie is about the ghost with the sheet over his head. And once we started shooting the movie we just kept that. The actors knew what was the name of their characters, but it was important to the story. Which I decided not to mention them and never show their names in the end credit as well. And it allowed the characters to recite a little bit, to be less specific which I felt was really helpful. The title was the last thing that comes to the plate. Initially we talked about bunch of different titles; some of them were cut, some of them were more like a joke or just specific and even complex. But ultimately it came up with two titles, “Hunted House” and “A Ghost Story“. But I wanted the title to be simple. I did not want it to have any sort of linguistic trickery to it. It needed to be as simple as it could be. And those titles felt that way. And ultimately, we went with “A Ghost Story“, because it was about a ghost not about the house. MOVIEMOVESME: Are you not afraid that people might end up being terrified by your movie? Remember “The Others” when Nicole Kidman’s Grace stuck in the same house with her children after committing suicide. And here’s a ghost who chooses to skip the lighting pulled and stay in the house. What do you think we might expect? David Lowery: I hope that the audience find the movie ultimately hopeful. Because she does find his breakthrough and moves on. I recognize the potential of this to be existential terrifying. I feel being stuck in the house for eternity will be pretty epic boomer. I think why the others are so affected ultimately is the incredibly sad part about what happened to her and then circumstances she is in as a character. Wanted to make sure that movie will be ending up on a positive note and on very hopeful one. And hopefully it will inspire the audience and will help to overcome those fears.